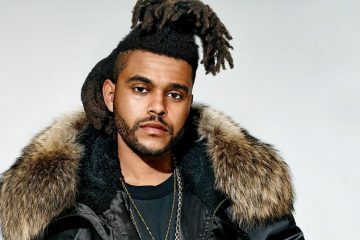 Everyone’s second favorite Canadian sadboi (what’s up, Drake) The Weeknd just dropped his latest album, My Dear Melancholy, a six-track effort that you can find wherever fine music is streamed. My Dear Melancholy is Abel’s first solo venture since 2016’s Starboy, though of course he’s kept himself busy collaborating with Lana Del Rey, Future, and Gucci Mane, and by writing a Starboy comic for Marvel. 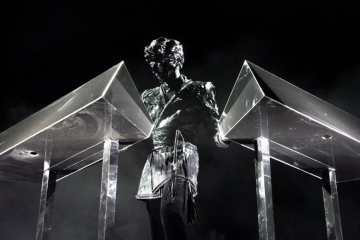 Laced with only 6 tracks in total, the project which serves as an EP, features a lone appearance from French DJ Gesaffelstein, who appears twice on the project with songs “I Was Never There” & “Hurt You”, which was co-produced by Daft Punk’s Guy-Manuel de Homem-Christo. Skrillex also co-produced the EP’s 3rd track “Wasted Times”. So this EP is definitely influenced by some of Electronic music’s best. Sources close to the camp say that “Abel is taking it back to his roots,” and the gloomy cover art suggests that the “roots” he’s returning to is the dark, nocturnal R&B vibe from the singer’s debut mixtape, House of Balloons. Even Travis Scott chimed in about the project earlier this month, saying it’s “Scary” and reminds him of his first project. “Abel new album is scray. It’s like when I first heard him for the first time. Fuckkkkkk !!! !,” Travis tweeted out. Available now on iTunes, fans can stream the surprise project in its entirety via Spotify, Apple Music, Google Music, and more. Hit play and let us know what record you’re feeling the most?